35-Piece Automobile Emergency Tool Kit | BUDK.com - Knives & Swords At The Lowest Prices! Case measures 11 1/2" x 3" x 7"
You never know when you'll encounter a roadside emergency! A flat tire or something more complicated can really throw you for a loop if you’re not prepared. The 35-Piece Auto Emergency Tool Kit has the right tools for any unforeseen situation, and it stores neatly in any vehicle. 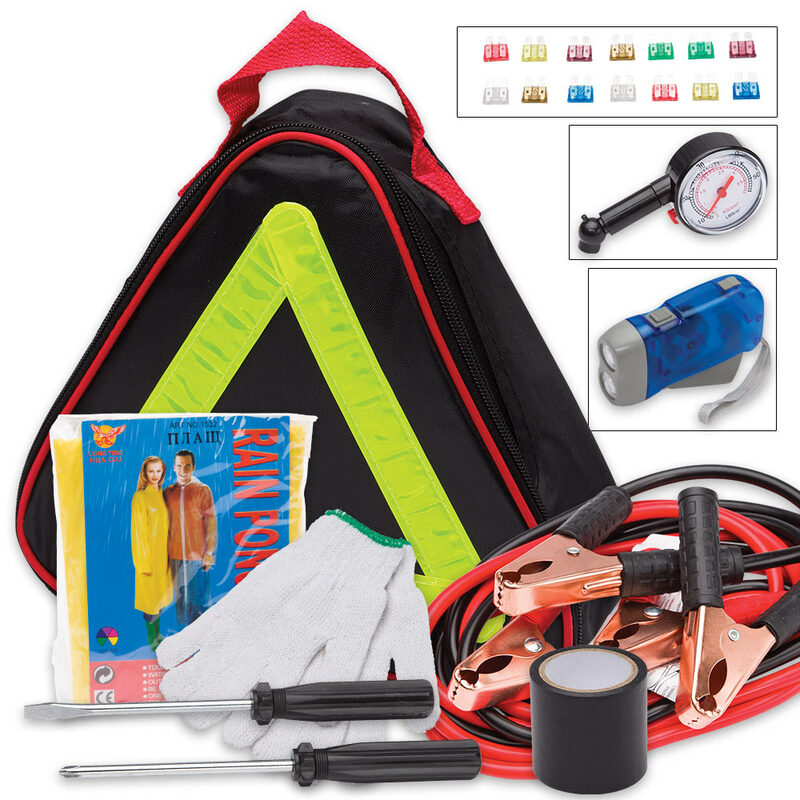 The set comes complete with 18 assorted electric terminals and fuses, a set of insulated jumper cables, cotton gloves and electrical tape. 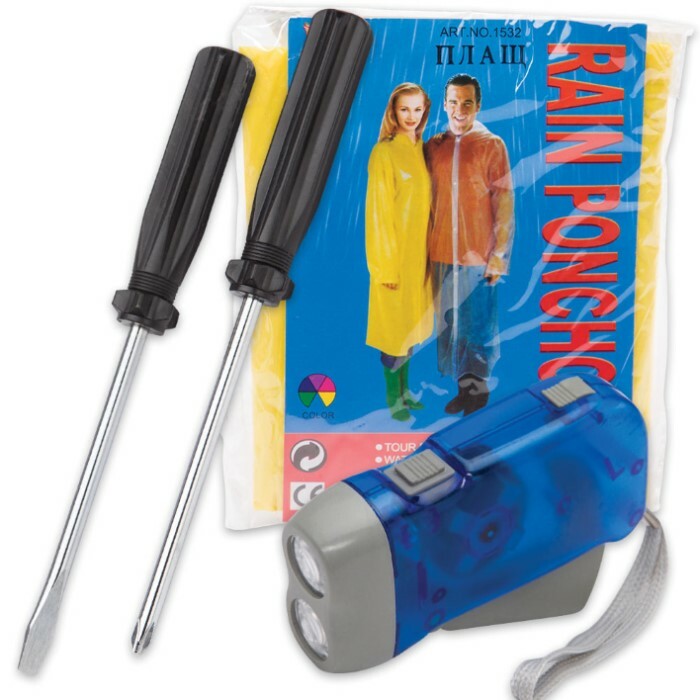 It also contains screwdrivers, a pair of pliers, a tire gauge and a set of ratchet heads. 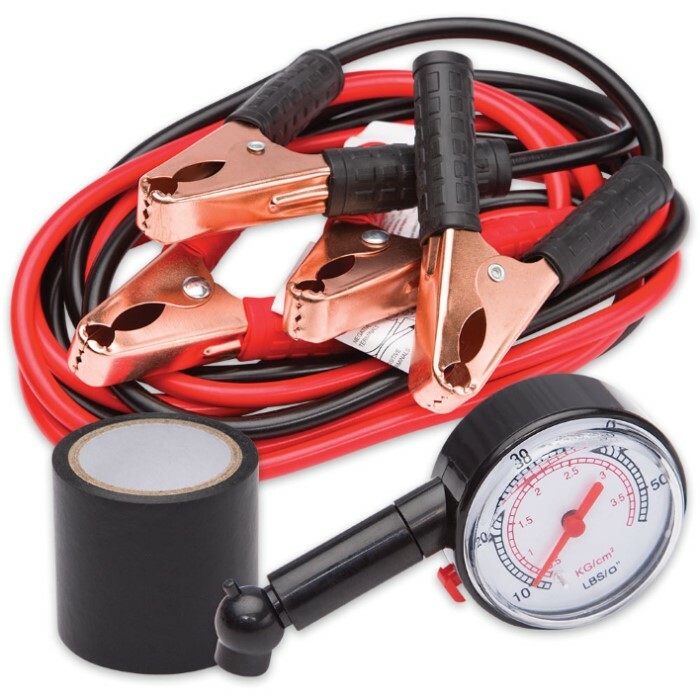 You'll feel confident knowing you have everything you need to handle any surprises your car may spring on you! The case measures 11 1/2” x 3” x 7”.